I'm always practicing clouds. They look so simple, but doing them well is a challenge. These are clouds in perspective. 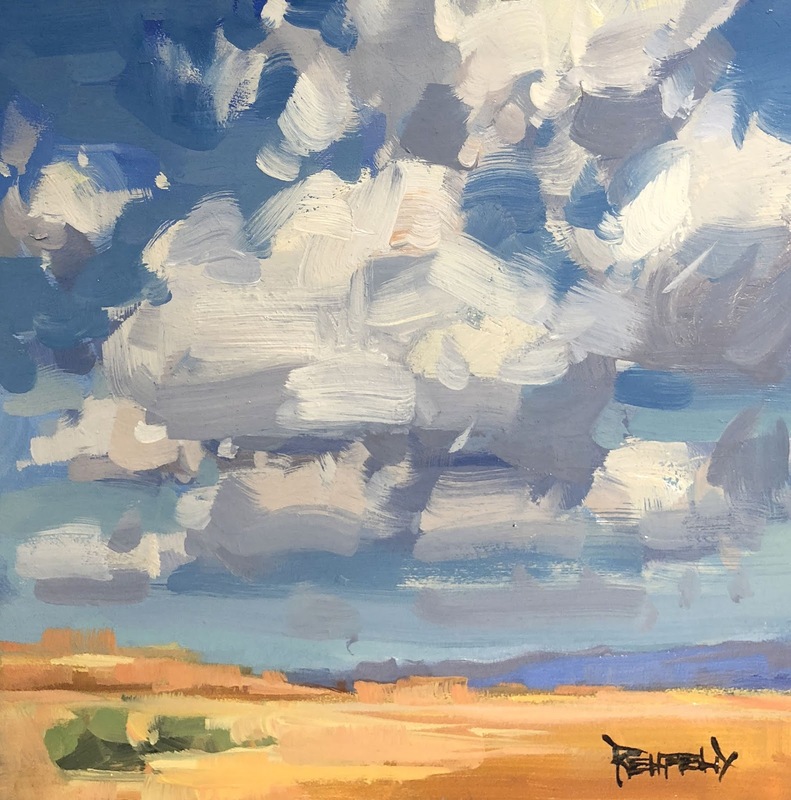 Click this link to view #1174 Desert Clouds" oil painting on Daily Paintworks Website, and to see all of my paintings.